Our home partners are more than just beneficiaries we serve and help. They are part of our growing family. In every family, each member has its own role. While we provide our home partners the opportunity to build their own homes, they become empowered, independent, and more productive members of their community, and of the family. Being a solo parent is not easy. You have to be able to balance two roles as both mother and father, and that can be very challenging. 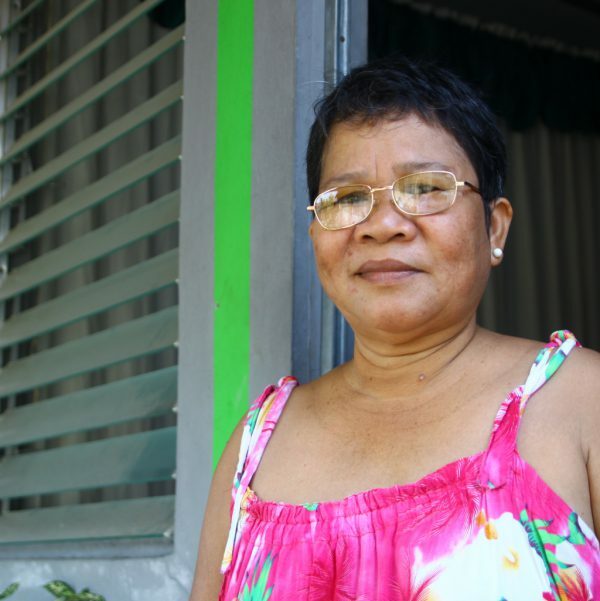 Elsa Valenzuela, 65, raised her four children singlehandedly. She has also become the foster mother of her two grandchildren, whose parents separated when they were young. Even with one other son living with her, she is still able to support her household’s daily needs with her job as a community health worker. Elsa, herself, participated in sweat equity, a program that aims to empower homeowners to become partners in development instead of mere recipients. Within a few months, Elsa and her family were able to move into their new home.